~ We have much to learn from the Monkey God, Hanuman. He is the God of selfless service, devotion, courage and perseverance. 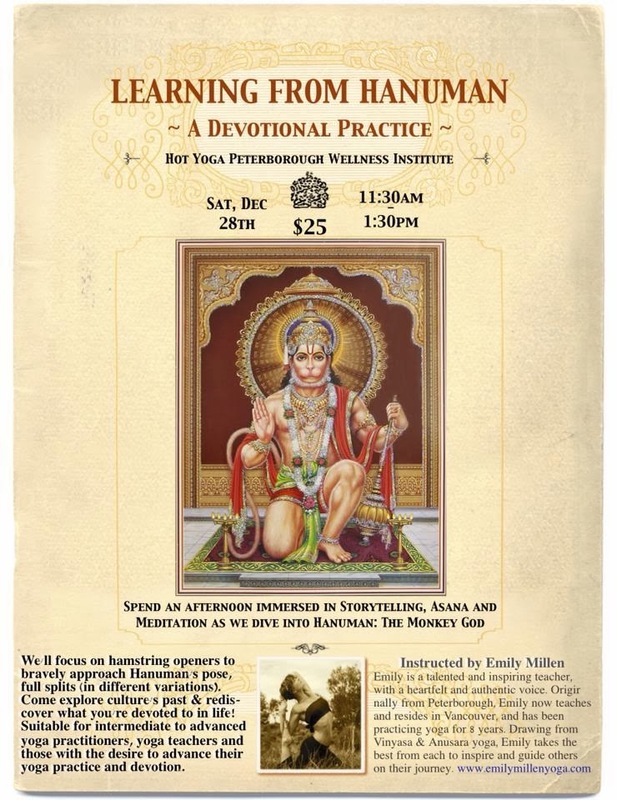 On Sat, Dec 28th I'll be holding a workshop in Peterborough, Ontario dedicated to Hanuman. We'll cover his legend, his very own physical posture (full splits) & we'll explore our own personal devotions. Please contact Hot Yoga Peterborough Wellness Institute to reserve your spot. All are welcome, always!